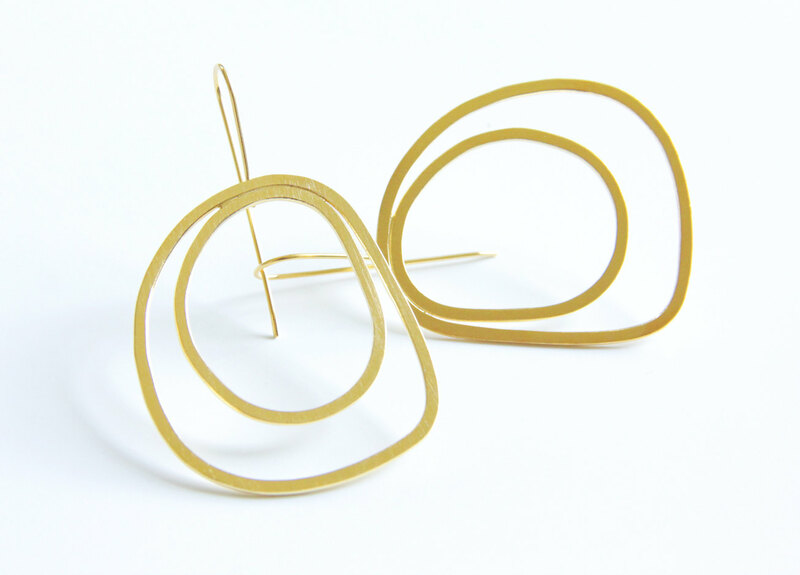 - The earrings are made out of 2mm flat sterling silver wire, and dipped in a thick 24K gold plating. - The hoops are formed by hand. - They measure 7.2cm (2.8 inches) long by 4.2cm (1.7 inches) at the widest. - Sterling silver ear wire.